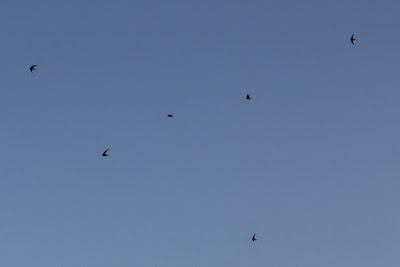 Migration watch; 05.10 - 11.50hrs and 18.50 - 19.50hrs. 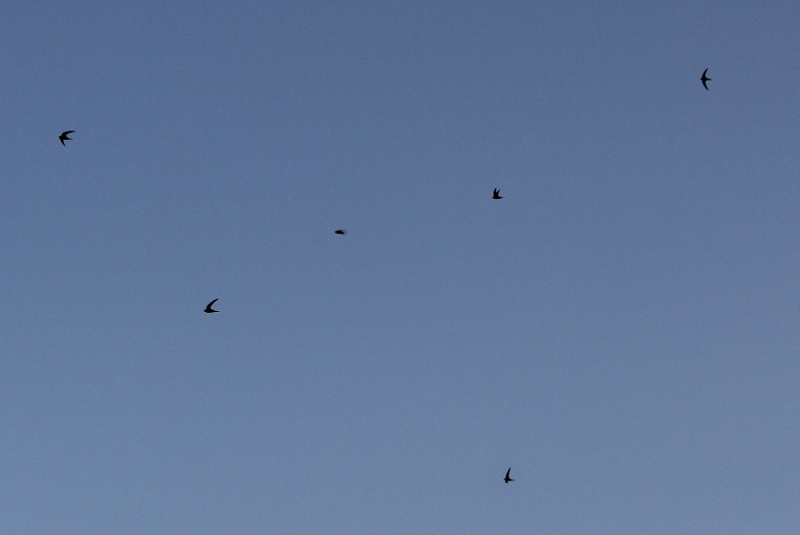 Although quieter it was still an interesting day with the Swift record broken for the second time this year, it was particularly impressive as over 2500 of the birds passed through within the first 90 minutes! On the move (south unless stated) were 1 Red-throated Diver, 4 Fulmar + 2 north, 4 Cormorant + 17 north, 3 Little Egret north, 2 Grey Heron, 1 Shelduck, 2 Teal, 2 Eider north, 15 Common Scoter + 8 north, 1 Oystercatcher, 1 Grey Plover, 2 Lapwing, 53 Knot, 6 Sanderling, 12 Dunlin, 1 Black-tailed Godwit, 1 Whimbrel, 1 Curlew + 3 north, 7 Redshank, 132 Black-headed Gull + 30 north, 21 Common Gull (including the first juvenile), 2 Lesser Black-backed Gull, 7 Great Black-backed Gull + 2 north, 8 Sandwich Tern + 58 north, 1 Common Tern north, 1 Puffin, 2872 Swift, 63 Sand Martin, 5 Swallow, 1 House Martin, 1 Goldfinch, 1 Siskin and 37 Linnet. 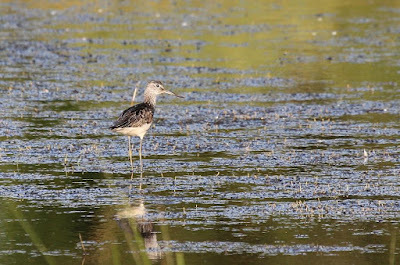 Elsewhere the Greenshank was still present on Johnson's Marsh along with the Little Egret and up to 11 Grey Heron, a Black-tailed Godwit was on Wykeham South Lake, 5 Common Sandpiper and 2 Whimbrel were in Cornelian Bay and at Potter Brompton Carr (no general access) there was a juvenile Yellow-legged Gull (first site record), 2 Little Egret and a Teal. Swift passage at Long Nab - Michael McNaghten. 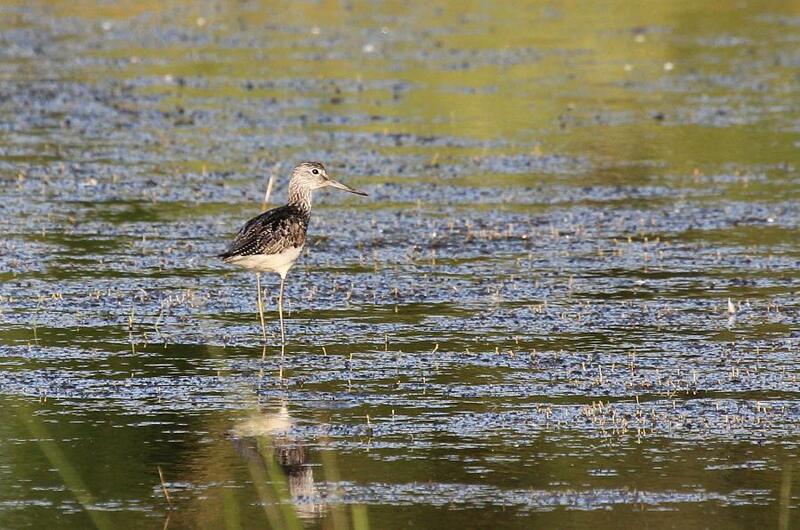 Greenshank - Johnson's Marsh - Chris Bradshaw.